Roy Allen Thomas was born in Norristown, Pennsylvania on March 24, 1874. While an undergraduate at the University of Pennsylvania, he was an outfielder on Penn’s 1892, 1893, and 1894 University teams. He is considered the best outfielder in the history of Penn baseball and was honored by receiving a silver lifetime pass good for all games at any major league ballpark. After college Thomas played with the Orange Athletic Club and Cape May, New Jersey, teams before entering the major leagues. He debuted with the Philadelphia Phillies on April 14, 1899. He played ten years with the Phillies, and then one year each with Pittsburgh Pirates and Boston Doves, before returning for two final years with the Phillies. Because he was known for intentionally fouling off good pitches while taking the bad in order to earn a walk, Thomas played a significant part in bringing about a change in the playing rules for foul balls and strikes. As a result, the National League in 1901, and then the American League in 1903, passed a rule that counted foul balls as strikes early in the count, with foul balls only after two strikes still allowing the batter to stay alive. This rule apparently made little difference to Thomas and other experienced hitters, who would now wait for the two strikes before fouling off the good pitches, still giving them a chance for a walk. 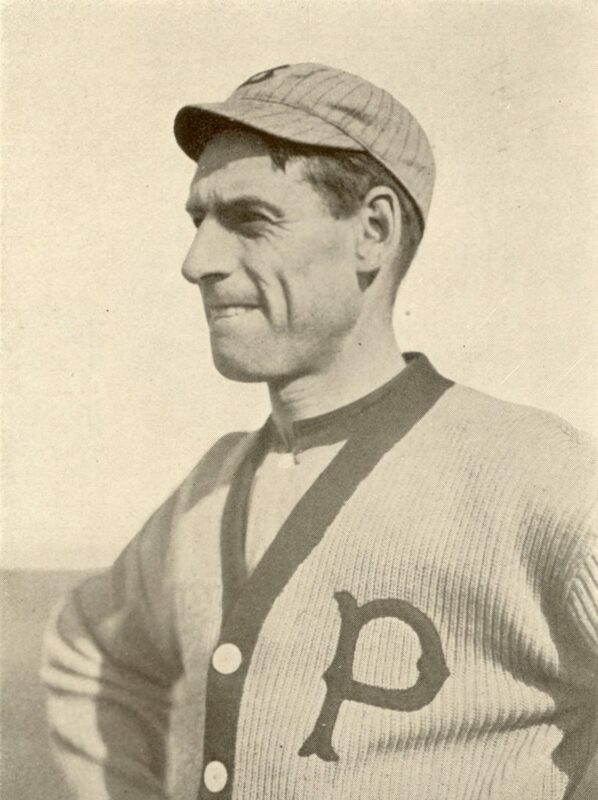 Even before his retirement from professional baseball in 1911, Thomas was coaching baseball at Penn. In 1903 he shared coaching duties with N.P. Stauffer, and then coached consecutively from 1909 until 1919. He later worked as a YMCA director and as a coal salesman before his death in Norristown in 1959.